Chops' production is like no other product in hip hop. Chops is a true musician crafting all of his tracks from the music inside of his soul and rarely resorting to sampling like most hip hop/ rap producers. After collaborating with each artist while the song is being recorded, Chops uses post production to custom tailor his tracks to the artist's performance, delivery, and vibe. Chops' music has incredible universal appeal, yet retails the unmistakable Philadelphia vibe. Chops first came to recognition with the Philly-based hip hop group the Mountain Brothers. The group's self-released debut album, Self, Volume 1 (1998) earned widespread critical acclaim among the music press. Chops' Virtuosity delves into the world of Chops' groundbreaking production. 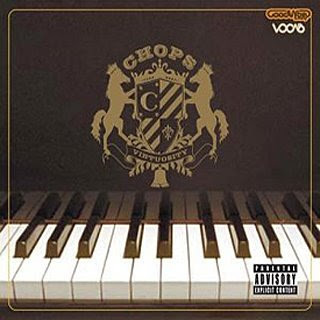 Household names within the hip hop game have lined up to collaborate with Chops in this masterpiece entitled Virtuosity.